William H. (Bill) Darr has a long and passionate history of helping those in need of direction and support for achieving life’s goals and ambitions. The story of the Darr Family Foundation begins in 1978 with the creation of American Dehydrated Foods, Inc. (ADF). The success of ADF in the animal feed ingredients business led to the founding of International Dehydrated Foods, Inc. (IDF) in 1982 and Food Ingredients Technology Company, LLC (FITCO) in 1990. Our newest company, IsoNova Technologies, LLC was created in 2014. Bill’s business success with ADF, IDF, and FITCO helped provide capital for the creation of the Foundation. The Darr family’s generosity reflects their commitment to lead by example in the areas of community support and development. 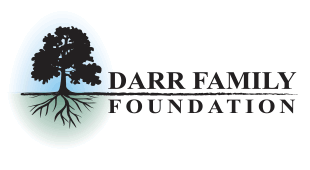 The Darr Family Foundation (DFF) was established in 2002 to perpetuate Bill’s dedication to supporting those in need. It is primarily funded by members of the Darr family. The Foundation’s stated mission is “to empower at-risk youth to overcome barriers to opportunity.” Our grant-making strategy since inception has been to focus on those objectives.